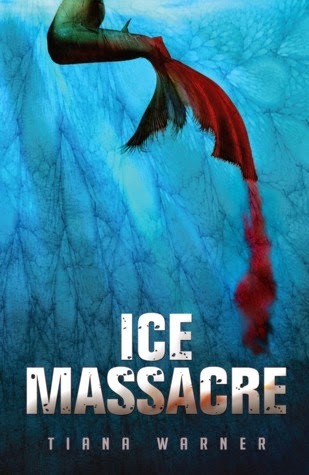 Today we're taking part in the book blitz for ICE MASSACRE by Tiana Warner. What does being an author bring to your life? It’s really about the magic of escapism. The world is a scary place at times and we all have problems to deal with and things that we find difficult. It’s nice to have somewhere to ‘go’ (even if that place is inside your own head) where you can really ‘play’. It’s similar to reading or getting lost in a great movie—you just forget who you are for a while. Your two books couldn’t really be more different. 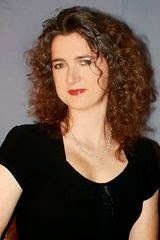 Your first was based on your real life (auto-biographical) and written for an audience predominantly made up of mothers. Your second is a novel for teenage girls about a topic close to many of their hearts. What are differences between writing for two such different audiences and on such polar topics? The old advice is to ‘write what you know’. When I wrote my first book, I was a frantic mum of two little girls, working, studying and totally over-committing my time. With this book, I’m the mum of two teenage girls and their world and language and challenges are very ‘real’ to me (and remind me of feeling the same way when I was their age). No matter what you’re writing, I think it’s really important that you understand it closely, and you’re able to be right in the ‘headspace’ of your ideal readers. Otherwise they’ll call you out on it! When your first book was published, social media wasn’t really around. For your second, is it almost a necessity to use it? Could you reach your target audience without it? It has completely changed since 2005 when my first book was published. The big focus for marketing then was radio and magazines. Now it’s social media and blogs, which is much more immediate and there’s simply more ‘of it’, so way more opportunities to reach new readers. It’s interesting to ponder how the situation will look in another ten years, and what that will mean for authors and readers. Your first book was published, your second self-published. What are the pros and cons of each? I chose to self-publish Unrequited as a bit of an experiment, and didn’t approach any publishers with the manuscript. The main differences are control and timing. With self-publishing you have much more of a say in things like the cover design and date of release. Of course, there’s way more for you to coordinate too, which means finding editors, typesetters, designers, printers etc — all the stuff that a publishing house usually does for you. You’re also fully in control of marketing and promotion, and that’s an ongoing task, although with a publishing house they only really focus on new titles for a few weeks, before focusing on their next set of new books. My advice to any budding self-publishers is to ‘Go Pro’ in certain areas. DO engage a professional editor and proof-reader and have the cover designed by a graphic artist (unless you have that skill yourself). 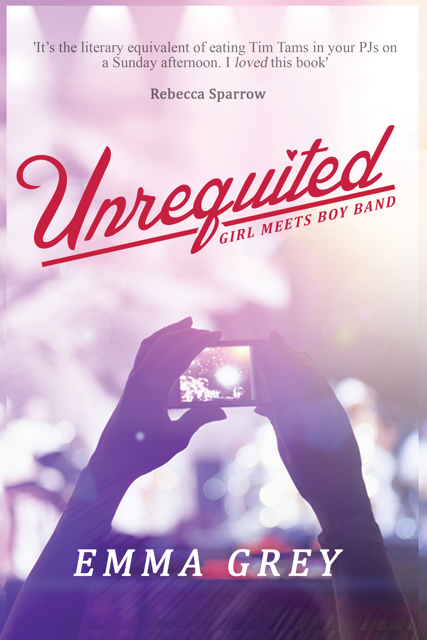 Read the first three chapters of Unrequited here. Growing up in southern Louisiana, Jandy Salguero's life was full of friendly smiles, good food and tall tales. She holds a BA in French from Brigham Young University, where she met her husband in the midst of the great Rocky Mountains. She now resides in a small town outside of Raleigh, NC. Her days are full of grade-school antics and underfoot toddler toys-- courtesy of her two handsome boys. She is currently working on Book 2 in the Senitha's Light series, due out in early 2015. “Understanding something and acting on it are two different things.” She faced him full-on now, the challenge upfront and center. “I’ve spent years believing one thing, fighting for this one thing. You can’t just undo that in a day.” She swiped at a lock of hair that had fallen into her eyes, tucked it behind her ear and held on to her control. She pushed a hand into his chest, despite the sting of the contact. “Intended? You think intention matters now? Look at me, Daneel, really look at me.” Daneel eyed the blade, brow wrinkled. As I am, she thought. She stared down at the knife. The one she’d nearly used to end his life. $25 Amazon Gift Card or Paypal Cash Ends 10/13/14 Open only to those who can legally enter, receive and use an Amazon.com Gift Code or Paypal Cash. Winning Entry will be verified prior to prize being awarded. No purchase necessary. You must be 18 or older to enter or have your parent enter for you. The winner will be chosen by rafflecopter and announced here as well as emailed and will have 48 hours to respond or a new winner will be chosen. This giveaway is in no way associated with Facebook, Twitter, Rafflecopter or any other entity unless otherwise specified. The number of eligible entries received determines the odds of winning. Giveaway was organized by Kathy from I Am A Reader and sponsored by the author. VOID WHERE PROHIBITED BY LAW. 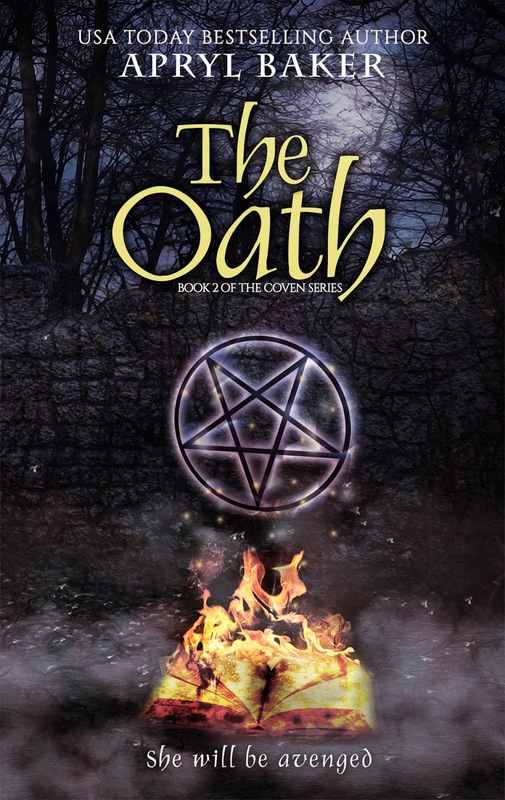 Today we're taking part in the cover reveal for THE OATH by USA Today bestselling author Apryl Baker. Take a look! The snotty little would-be witches would pay for what they'd done. By the end of the week, they’d all be praying to whatever god they worshiped to hide them from the hell coming for them. 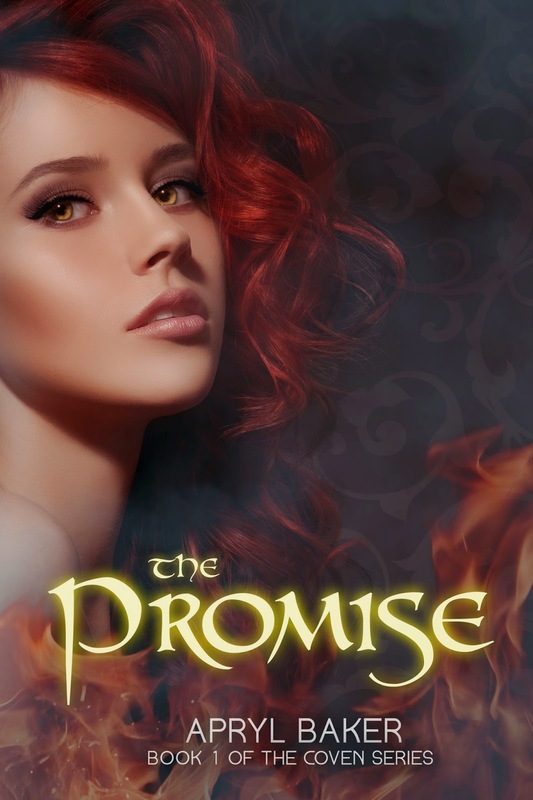 Read book 1of The Coven Series, The Promise! So who am I? Well, I'm the crazy girl with an imagination that never shuts up. I LOVE scary movies. My friends laugh at me when I scare myself watching them and tell me to stop watching them, but who doesn't love to get scared? I grew up in a small town nestled in the southern mountains of West Virginia where I spent days roaming around in the woods, climbing trees, and causing general mayhem. Nights I would stay up reading Nancy Drew by flashlight under the covers until my parents yelled at me to go to sleep. 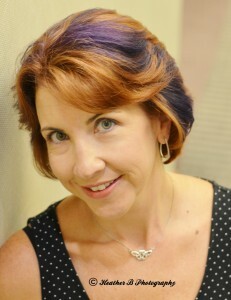 Today we're taking part in the FIRE IN THE WOODS blog tour by chatting with author Jennifer M. Eaton. Come get to know Jennifer and her book, and be sure to enter the Rafflecopter at the end of the post. I am a mom of three kids under 13 and a full-grown husband. We live on the east coast of the USA with a menagerie of pets (Including my two brand-new hermit crabs!) and our house is run by a fifty-pound standard poodle. I’d love to! 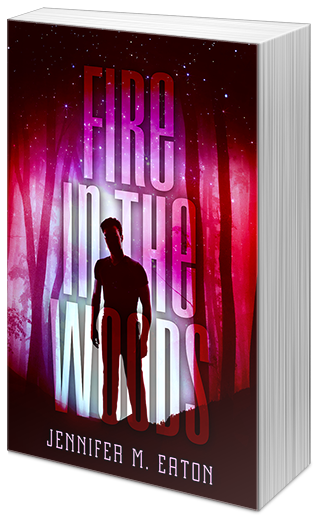 FIRE IN THE WOODS is a high-paced, action-adventure, chase, science fiction, young adult romance. How’s that for a mix of genres? FIRE IN THE WOODS is about a seventeen-year-old girl who goes for a walk in the woods and has her life changed forever when she decides to help an injured boy she finds curled up beneath a tree. While the story will be labeled science fiction because there are aliens in the plotline, I was really striving to write a story that transcends genre. It is undoubtedly a romance, but it is also about two people running for their lives. It is an action adventure, but it is also about people overcoming their differences. The story is high-paced, but the characters come up for air so the reader is not always on the edge of their seat. I think there is something in this story that will appeal to everyone. I like to write short stories between novels – sort of a writer’s way to “clean the pallet” before moving on to the next course. Fire was supposed to be a quick, 10,000 word novella about a girl who trips over an alien boy in the woods. Imagine my surprise when the story took off to places I never dreamed of! I used to be a big pantser. Writing was a recreational sport to me, kind of like watching television with complete control over what happens. A few years ago, I started outlining (very loose outlining) and I have found it incredibly helpful for keeping me on track. I have nowhere near as many deleted scenes now compared to when I was “pantsing” and I don’t get “lost” or write myself into a corner. The hardest part of writing is stopping once I get started. Once I get “into the groove” I can write for a really long time, but unfortunately “real life” needs some attention, too, and I need to stop. I like to have a green Gatorade (cut with 50% water) and something crunchy like pretzels. In really deep-writing mode, I’ll slip a little dark chocolate in. Other than that, I just need a keyboard, a computer, and a quiet room. Yes, quiet is important. What are you reading right now? I just started reading “Call me Grim” by Elizabeth Holloway. It is a story about a girl who has to choose between dying and becoming a reaper. I’ve only read two chapters, but I am enjoying it so far. It's a great book, trust me! If you could have any super power, what would it be? I think I would like to fly. Traffic is really overrated. Why not fly right over everyone? And how much fun could I have tormenting my poodle if I were flying over her head? Good times! Ha! Probably how much a Newfoundland (very large dog) drools. One of my stories features this breed, and I wanted to make it believable. I ran into someone walking a Newfoundland one day and asked them tons of questions I could not find online (like how big their poop was) Very funny! ... Sleeping. Geeze, I am a boring person. But right now, that is what my schedule is like. I have some pretty tight deadlines. 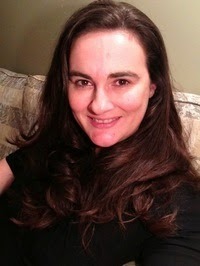 Thanks so much for stopping by the blog to chat with us, Jennifer! Thank you so much for having me. It’s been fun! 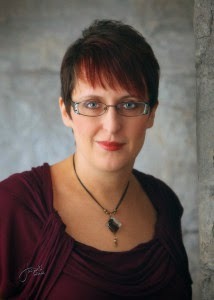 Today we're taking part in the blog tour for THE EMISSARY by chatting with author Kristal Shaff. 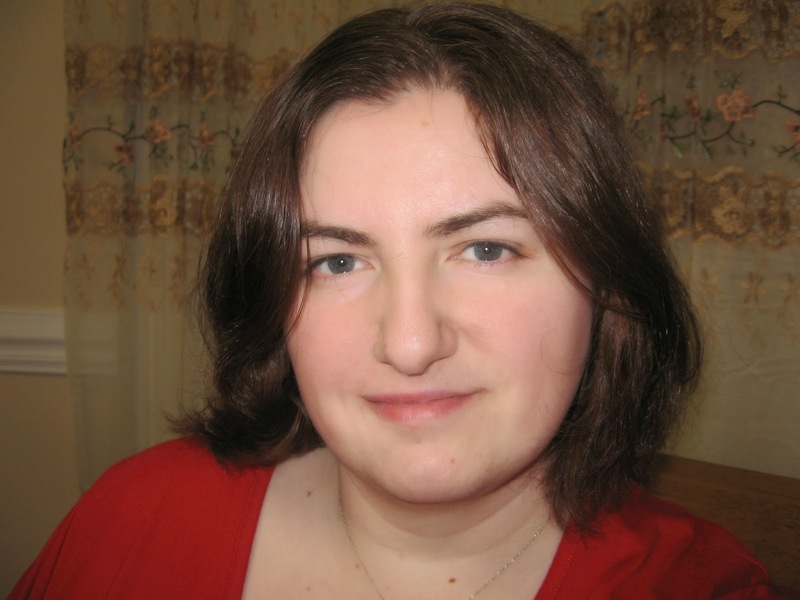 Let's get to know more about Kristal and her book! Hi, Kristal! Welcome to We Do Write. Tell us a bit about yourself. I’m a mom of 3 amazing kids, 16, 14, and 11. We live on a farm in Iowa with an embarrassing number of pets. When I’m not being a taxi mom, I’m a writer of fantasy fiction and a professional face painter on weekends. We are also waiting for our 4th child through the journey of adoption. Wow, that's wonderful! 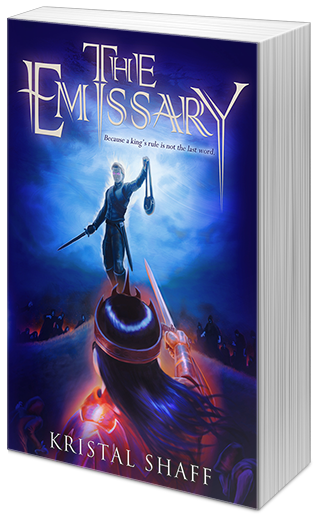 Tell our readers a bit about THE EMISSARY. For hundreds of years, dark clouds covered the skies of Adamah, and an ageless king ruled. Those who emerged with one of six extraordinary Shay powers were forced into the king's army, an unmatched force with inhuman Strength, Speed, Accuracy, Perception, Empathy, and Healing. With the army behind him, the king—a man who wields all six abilities—was invincible and unquestioned in his rule. To most, serving the king was an honor. But for others, it was a fate worse than death. Sounds intense. How did the idea of the story come to you? I’ve been an avid lover of superheroes, even as a child I remember standing in line for hours to see Christopher Reeve in Superman. (Superman has always been my favorite). I’ve also been fascinated with knights and chivalry, and I made yearly trips to our local Renaissance Faire in my teen years. I decided to stick my love of superpowers and knights together into one concept, and that was how THE EMISSARY was born. Um, a little of both. I tend to have a broad idea of what I want and then fill in the holes as I go along. I find some of my best ideas come when the story completes it for me. My most recent WIP has been almost completely pantsing. In some ways, I find it very fun, but when you reach a point where you don’t know what is going to happen, it makes things more complicated. I was required to write a detailed synopsis to the Emissary’s sequel, then ended up completely changing it by the time I finished the book. So I am a combination of a plotter and a pantser. The draft. I much prefer editing and reshaping. Getting the framework down I find challenging. I typically have a mug of coffee—usually cold by the time I’m done with it. Also, I need quiet and solitude. Even someone sitting in the room will get an evil glare. Those are requirements and guidelines I can totally associate with. What are you reading right now? I’ve recently started THE NAME OF THE WIND, by Patrick Rothruss. Ooh, I heard that's good. If you could have any super power, what would it be? When I played City of Heroes (it was an online Multi-player game years ago), my favorite combination of powers was flying and healing. I loved soaring over battles and randomly healing people when they were close to death. Oh geeze. Probably things like “How long does it take a corpse to smell?” Or when I’ve researched poisons. I couldn’t have done it without the support of my family, especially my husband. He’s had to put up with my writing angst for a long time. Also a shout out to my writing friends Michelle McLean, Michelle Gregory, and my local critique partners Joan Mauch and Wayne Sapp. Writing is lonely business without friends. Thanks so much for stopping by our blog, Kristal. Can't wait to read your book. Enjoy the rest of your tour! And now for our readers, here's a giveaway for you to enter! Retelling the Tale by Vicki Weavil + GIVEAWAY!